Ah, college...the good old days! The college years are said to be the best years of your lives, and this is often the case. The brothers and friendships that yield from being in a Fraternity are endless and long-lasting. 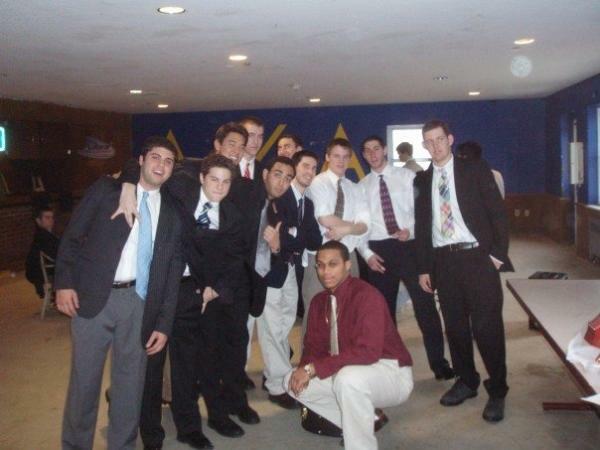 The times spent with brothers are the most vivid memories of college for many people involved in Greek life. How do we go about reminiscing? One simple answer – pictures. Pictures capture all of the great memories we have and are enjoyable to reflect on because they bring all of the memories back to the forefront of our minds. We found a picture from 2007 that captures the closeness of brothers. Are you pictured here? If you are, we hope that memories come flooding back to you, but if not, we want you to feel the same spectrum of emotions. To do this, we ask that you dust off some old photo albums and find pictures of your time in Lambda Chi Alpha and send them over to our alumni relations office at [email protected] so we can include them in future eLetters and share the great memories with others!